For intervention in northern Mali, the Malian authorities and (cedeao) have agreed to logistics cooperation. Ministers of Defence, Foreign Affairs and African Integration of the West African organization meet Monday in Abidjan, the capital of Côte d’Ivoire, to shape this collaboration that should lead to a military attack against the Islamists who are currently occupyng Gao, Timbuktu, Kidal and Douentza. Now ,The problem is the deployment of CEDEAO deeply inside the Malian capital. An essential tool in the eyes of West African military to secure the transaction and for the transitional authorities, but it is perceived as a threat by the former junta, "headed by Captain Sanogo RFI reported. Early September, Dioncounda Traoré had claimed the support of cedeao while holding that such assistance is limited to logistics. The Mali "does not want the deployment of foreign military forces fighting on its territory but seek the assistance of West Africa, particularly in terms of logistics, to recover the North in the hands of Islamists," said the head had state of transition. 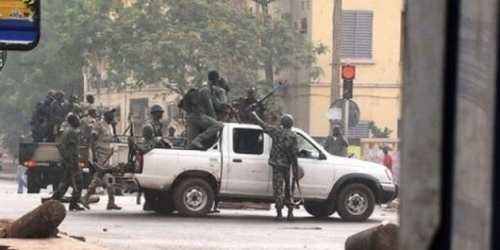 It is for these reasons, therefore, that "the base of the CEDEA0 forces will be settle in the suburbs of Bamako and only focuses on the protection of its civilian and military personnel," said RFI. In the same way, President Traoré Dioncounda ask in August 30 the UN that he needed "support and assistance to strengthen its capabilities, including humanitarian assistance, negotiation and reform forces of defense and security. "